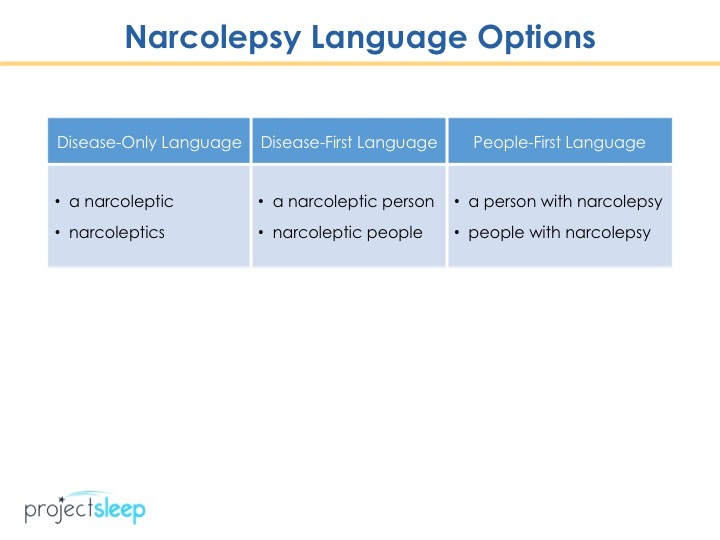 WATCH NOW: Is it Narcoleptics or People with Narcolepsy? I’m so excited to release the video above. It’s an important topic I’ve been meaning to address for a while. 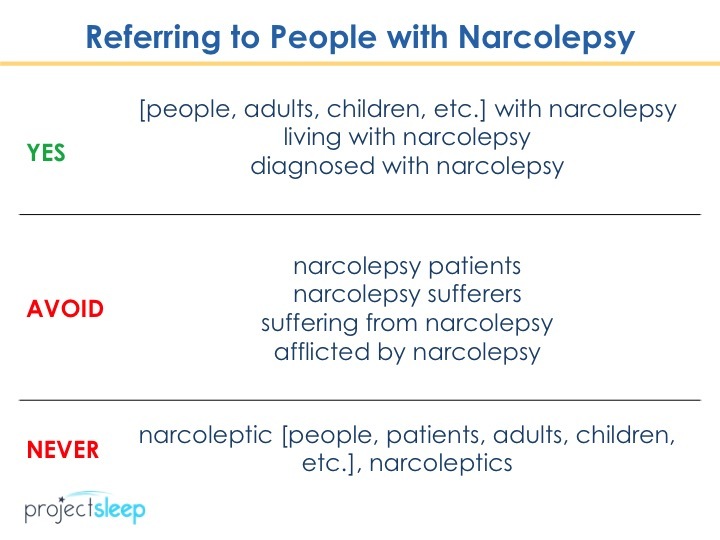 This video is important for media representatives covering narcolepsy in the news, researchers, clinicians, drug developers, and last but not least, people with narcolepsy and their loved one aiming to raise awareness and reduce stigma for narcolepsy. 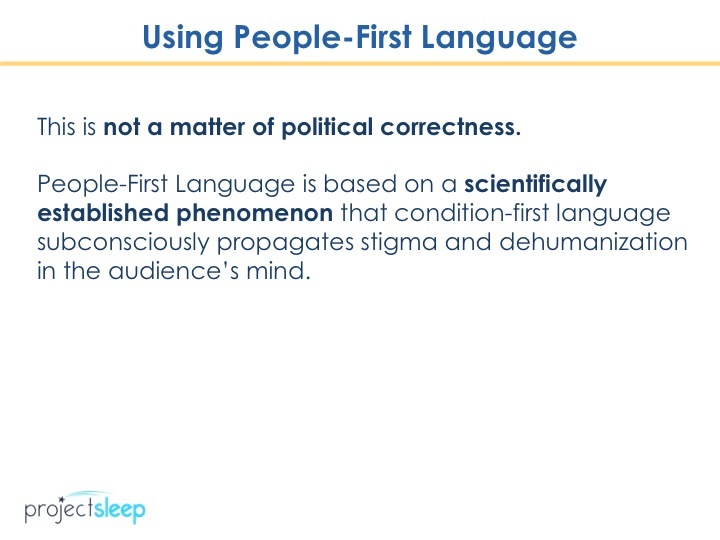 In this video, I discuss how people-first language choice is not a matter of political correctness, but a scientifically established phenomenon showing that condition-first language subconsciously propagates stigma and dehumanization in the audience’s minds. I hope you’ll enjoy learning about the research underpinning this linguistic principle, as I’ve been fascinated myself! Ultimately, this is NOT meant to say that there is one “right way,” but hopefully this will spark a discussion. 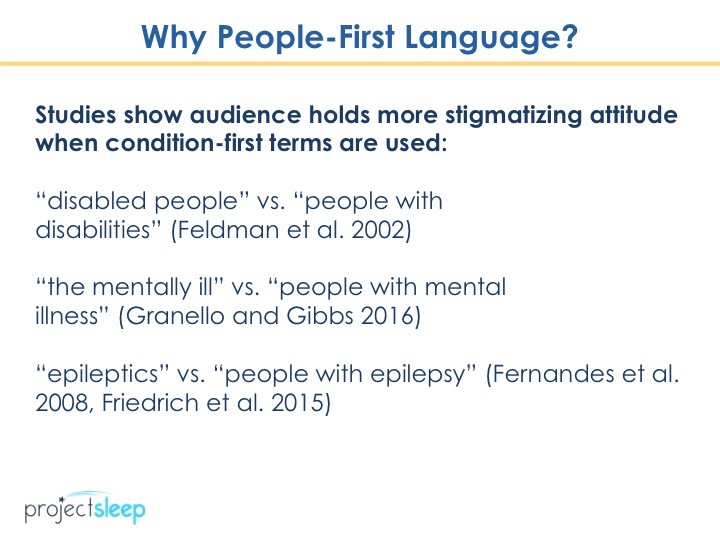 I do believe that words matter and we should be thoughtful in choosing our words, especially when speaking broadly about the experiences of people with narcolepsy generally. 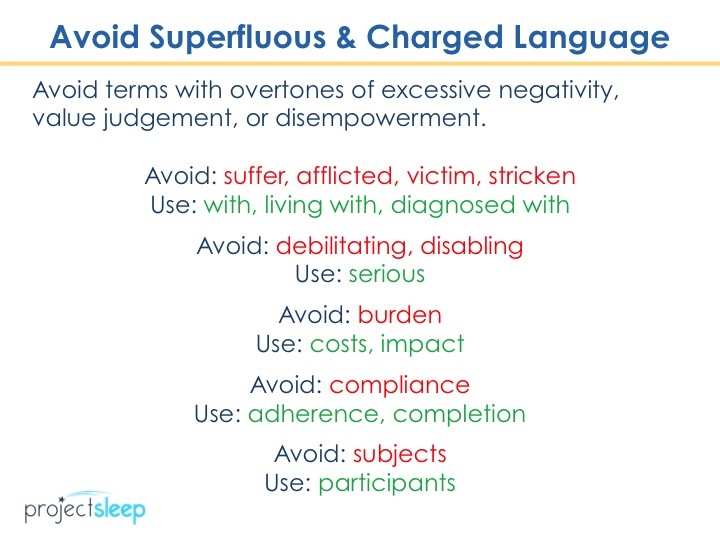 Strong sweeping statements about “all people with narcolepsy” can tend to be inaccurate because truly this condition affects each of us differently. Thank you for joining me in helping to build a brighter future for narcolepsy!